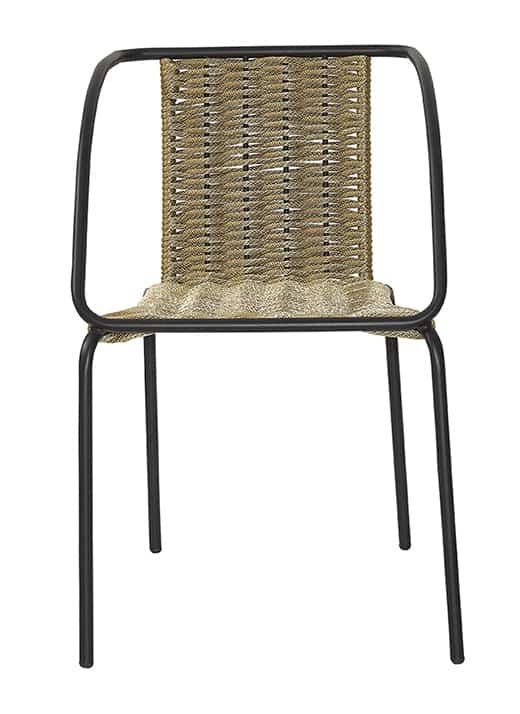 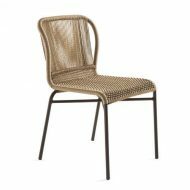 The Oyster Side chair is made of a Metal frame and available in 14 fine texture colors. 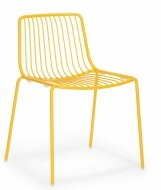 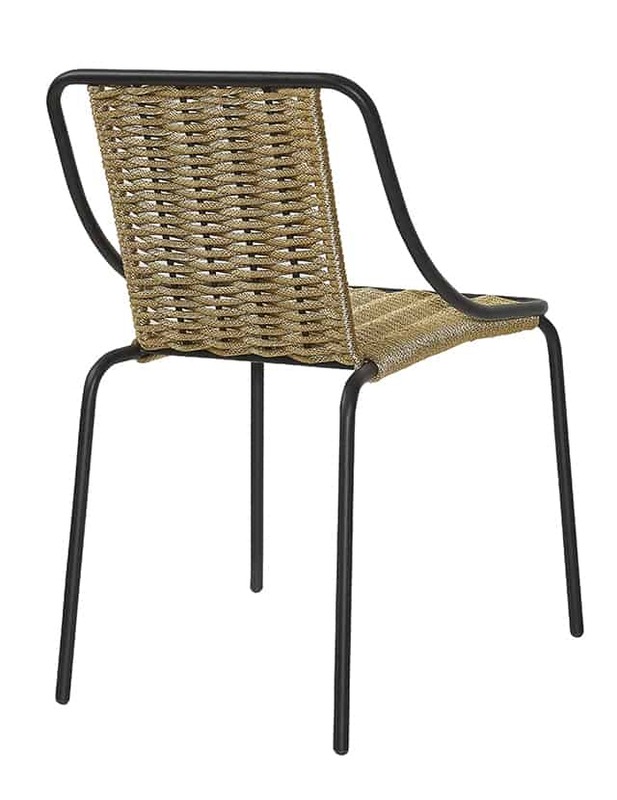 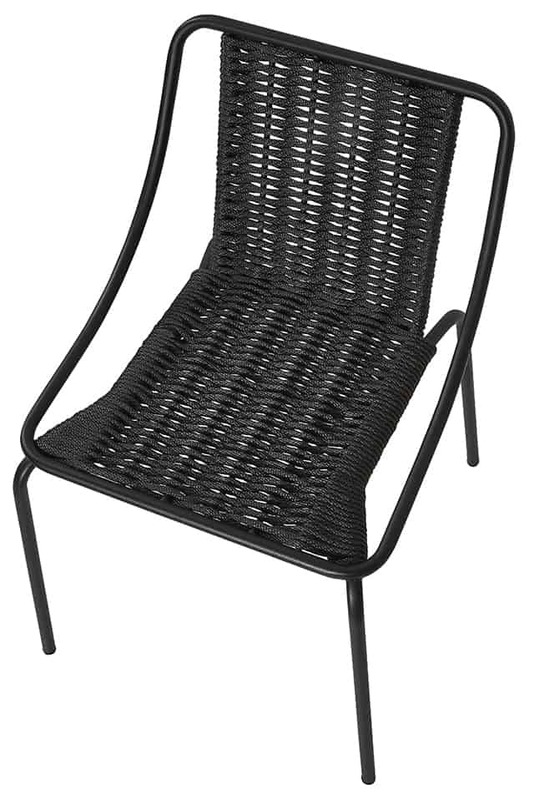 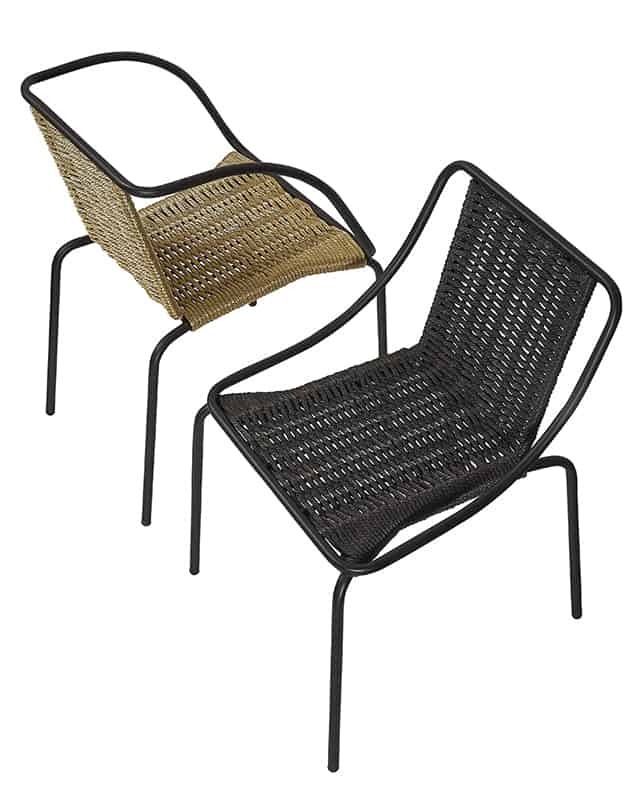 Seat is a weave of polyester ropes in 8 mm thickness. 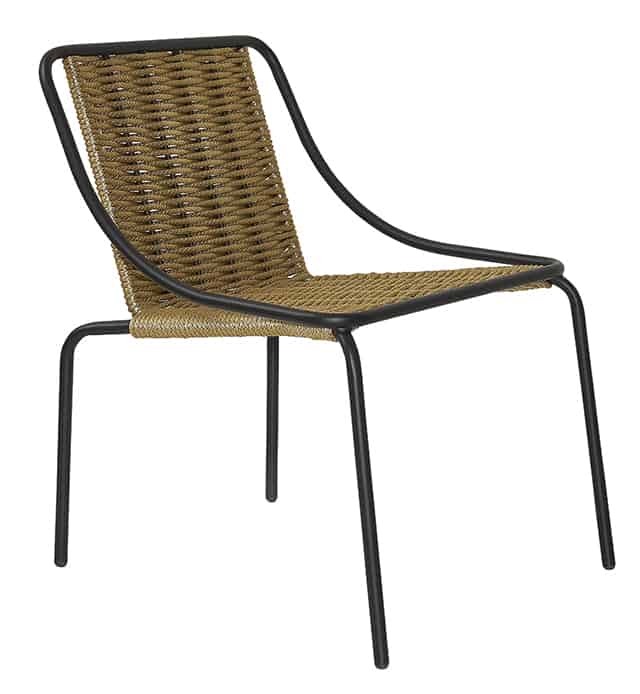 Colors of ropes: Beige, Black, White, Khaki, Basalt (it’s a grey-black particular color). 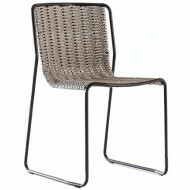 Also available as an Armchair, Stool and Lounge Chair.